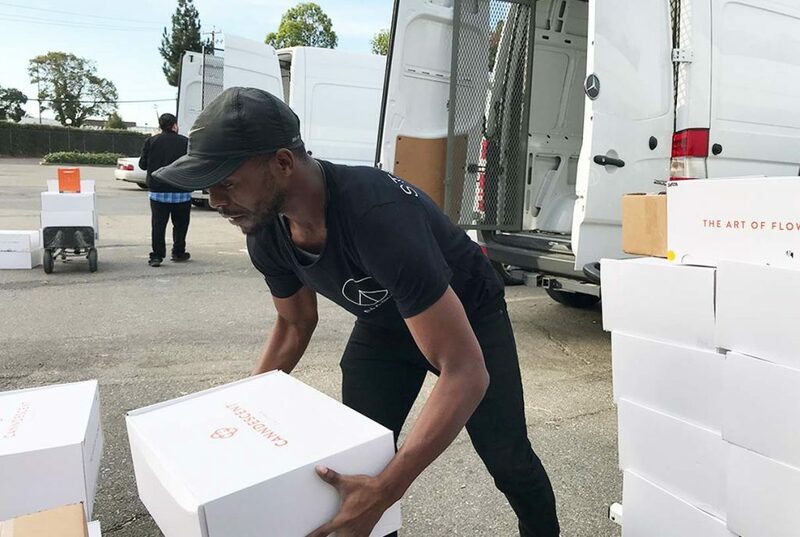 Cannabis distributor Nabis delivers to approximately 90 percent of the retail dispensaries in California, capturing about 3 to 5 percent of the state’s total value of goods, according to co-founder and CEO Vincent Ning. Ning spoke with New Cannabis Ventures about his company’s tech-enabled business model, the upcoming Series A and expectations for growth. Ning started out in the technology space, first as a software engineer for Microsoft and then starting an enterprise B2B company that was eventually sold to Amazon. After that, he was searching for an industry with a high demand for technology. Cannabis was a natural fit, but he quickly found a lack of infrastructure, which led to a focus on distribution. The company’s two main revenue streams are fulfillment, which includes logistics, storage, and transportation, and product sales, which the company offers to clients that don’t have their own sales teams or want more exposure. The common thread running through the company’s entire business ties back to Ning’s background in the technology space. Nabis’s software began as an internal tool to help manage all of the information flowing through the company’s distribution pipeline, but it has evolved to become more of an outward facing tool that enables clients to book orders and manage their products throughout the distribution process. 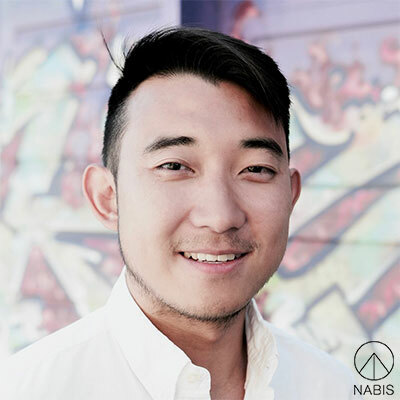 Ning and his fellow co-founder Jun S. Lee started Nabis by helping a few friends who had brands in the cannabis space. 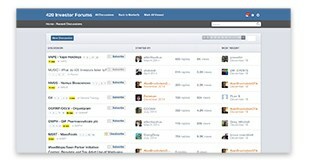 Since then, their portfolio has largely grown through word-of-mouth. Canndescent was one of the company’s earliest partners, coming onboard when Nabis was still fairly small. Since then, other companies like Monterey Tilth Farm, Dr. Norm’s, and Humboldt Legends have joined as well. Ning expects the company will be announcing new clients and brands shortly. Nabis operates its distribution services on a hub-and-spoke model. The company has two warehouses, one in Oakland, which services northern California, and one in Los Angeles, which services the southern portion of the state. The company’s fleet of vehicles circumnavigates California twice a week, according to Ning. Earlier this fall, the company raised $1.25 million through a seed round with Babel Ventures as a key investor. As an extension of the seed round, Nabis raised an additional $500,000. The proceeds are being used to expand, onboard more clients, and hire more employees for the engineering and marketing teams. The company’s next round of fundraising will be a Series A, slated for March 2019. Ning is hoping for a substantial Series A, which will help the company expand beyond California. Ning sees the company’s software as a key element of its expansion plans. Eventually, it could offer clients more insight into the distribution of their products, enabling them to better manage their cash and production cycles. The software can also facilitate entry into new markets without a large investment in infrastructure. It takes time and money to establish warehouses and acquire trucks. Nabis envisions a “tech-first” expansion strategy in which the company will use its software to help existing distributors scale. For example, he sees the company have a lot to offer from the software perspective in smaller markets like Massachusetts. Ning hopes to bring current partners in the Nabis portfolio along with the company as it expands into other states. Right now, the company has approximately 35 employees, and Nabis expects that number to double within six months. Within a year, Nabis expects the company won’t need to be as aggressive when it comes to adding new team members. The company’s software automates many processes handled by operations team members at other distribution companies, which will help Nabis stay lean while still offering its customers value. With a move to other states still on the horizon, Nabis is focusing initially on dominating in the California market. Currently, the company ships approximately $1 million worth of product each week, and Ning hopes to be doing five times that amount by the time the company is ready for its Series A. As the enormous California market continues to grow, he foresees the company’s margins and revenue growing right along with it. While banking remains a challenge for Nabis, Ning sees his company’s software model as a major differentiator that will help the company increase its footprint in California and eventually to other states.